Most aftermarket injectors go straight from the production line to the shipping department. At Deatschwerks, they have added what they consider a crucial step of flow balancing and quality assurance testing on EVERY set of injectors they produce – not just one or two from each lot. Over 40 data points are collected and analyzed on each injector to be sure customers only receive the best end product. All testing is performed in-house on a custom built New Age Technologies injector flow bench. Deatschwerks injectors are DIRECT FACTORY REPLACEMENTS for their listed applications. In addition, Deatschwerks offer a comprehensive line of universal injectors which are available for customers who’s applications are not listed in our catalog. Their Universal applications include high impedance, low impedance, narrow body, wide body, and several different connector options. Please do not hesitate to call us if you need assistance in choosing the best universal injector for your application. To complement their range of high performance, drop-in fitment fuel injectors, fuel system specialists, Deatschwerks, have developed the highest flowing in-tank fuel pump yet. 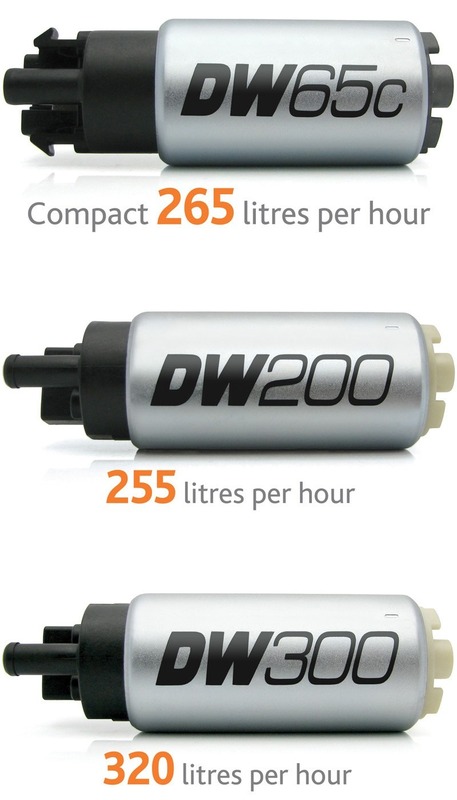 With a flow rate of 300 litres per hour, the DW300 pump comes with an application specific or universal fitting kit and a 3-year warranty. 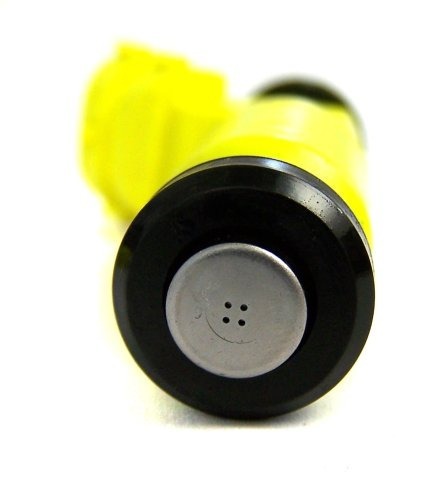 The pump is 100% compatible with E85 ethanol fuel. Deatschwerks also have developed two new high flow in-tank fuel pump ranges, the DW200 series; with a lower flow rate (around 255LPH) and price compared to the DW300 and the DW65c series; a compact pump with a flow rate of around 265LPH and a more compact design. You can read more about the Deatschwerks DW300 high flow fuel pump here, along with performance graphs and technical information.